Normal blood pressure is defined as less than 120mmHg over less than 80mmHg (120/80mmHg). Blood pressure is highest at the moment of the heartbeat, that is when the heart is contracting and “squeezing”. This pressure is known as the systolic blood pressure. When your doctor says “your blood pressure is 120 over 80”. Your systolic pressure is 120mmHg. Blood pressure is at its lowest between two heartbeats when the heart muscle is relaxed. The blood pressure at this point is referred to as the diastolic blood pressure. When your doctor says “your blood pressure is 120 over 80”. Your diastolic pressure is 80mmHg. A person whose blood pressure runs between 120-139 over 80-89 is said to have pre-hypertension. A person with a reading above 140/90 mm Hg is hypertensive and at great risk of a cardiovascular event (heart attach, heart failure, stroke and kidney failure). Whether you are pre-hypertensive or hypertensive, the time to start making some changes is now. Elevated blood pressure can be a silent disease, producing few or no symptoms. While you may not feel it, you are at an increased risk for heart attack, stroke, vision problems and kidney disease. There are two basic types of high blood pressure, also known as hypertension: primary (essential) and secondary. Secondary hypertension has an identifiable cause such as kidney disease, adrenal tumors or drugs. This type is relatively rare compared to, the all too common, primary hypertension. – medications such as steroids, NSAIDs, caffeine/diet pills, birth control pills and many others. What will your Naturopathic Doctor do? Reduce salt – reducing salt to about one teaspoon a day may help control your blood pressure. Increase fruits and vegetables- these foods should make up the majority of your diet. Follow the Mediterranean Diet or DASH Diet – Ask your Naturopathic Doctor which is best for you. Drink beet juice daily – A research review published in 2014 on Nitric Oxide, and a study published in 2015 on hypertension, both showed that a diet including inorganic nitrates from beet juice can lower blood pressure. 2. Ask you to increase physical activity: As little as 30 minutes of moderate exercise a day, such as brisk walking, can help lower blood pressure. Maybe use half of your lunch break to take a walk. 3. Recommend a quality fish oil with the optimal dose of total omegas and the optimal ratio of EPA to DHA. Omega 3’s have a hypotensive effect, meaning they lower blood pressure. 4. Recommend daily deep breathing excercises: yoga, meditation, and breathing exercises help to lower blood pressure via biofeedback. Consider turning off the radio during your daily commute and take a few minutes to practice deep breathing. Ask your Naturopathic Doctor what this type of breathing should feel like. 5. Help you achieve better sleep: lack of quality sleep can hinder your body’s ability to regulate stress hormones, leading to elevated blood pressure. To help you to better manage all of these lifestyle changes, your Naturopathic Doctor will provide a daily checklist. This will help you to stay on track. Wanting to see just how quickly and effectively these lifestyle modifications work? 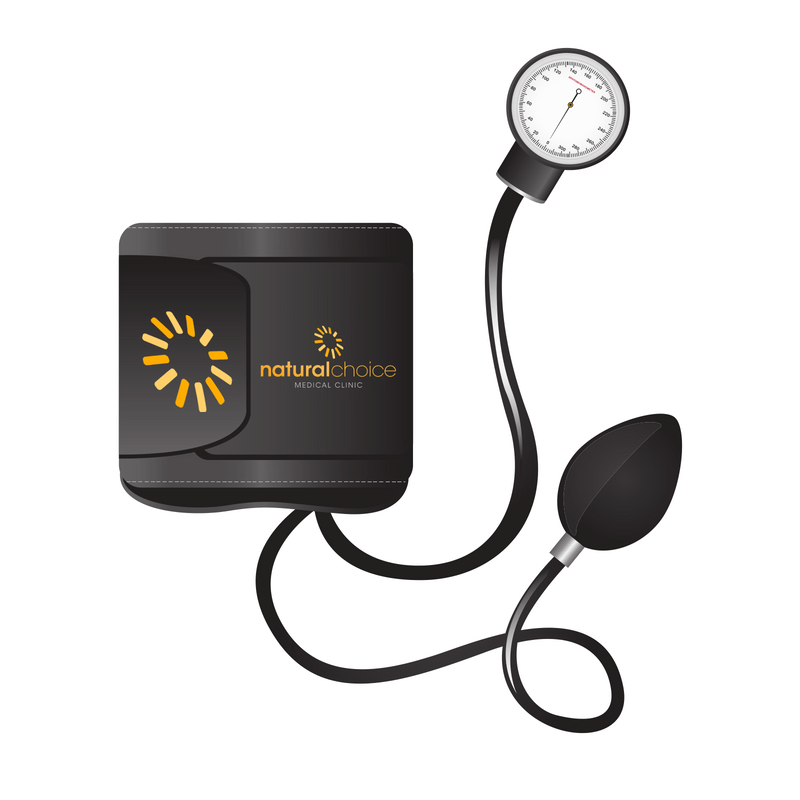 Purchase a blood pressure monitor for yourself and take your blood pressure daily. Watch how quickly your readings start to improve! Needing help from one of our Naturopathic Doctors? Book ONLINE today. High Blood Pressure. Dr. Andrew Weil, MD.